Is your editing workload overwhelming? Is it taking away from other things you need to do to keep clients happy and grow your business? Are you missing out on family time because you're always at your computer? Are you ready for a Personal Photo Editor? 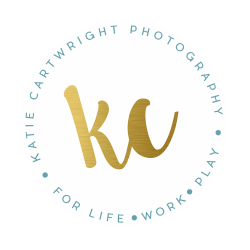 It sounds like you're interested in getting some help and I'd love to chat with you more about how a personal editing service can work for you! Your images will be edited to reflect YOUR style and we'll spend some time in the beginning to nail down exactly what that is. In order to make sure that the edits are up to your standards, I'll ask for your honest feedback with each set of edits. This level of service will give you peace of mind in knowing that the same person who is learning your style is also performing the edits. And if you need to get in touch, you'll be able to email me directly or call me during office hours and know that you'll be speaking directly to me on the other end. If that sounds like exactly what you need, then I'd love to hear from you. I currently serve photographers who specialize in senior portraits and weddings and (it's totally fine if you do both). Service levels include Lightroom Basic, Lightroom Plus, Photoshop Basic Edit, Photoshop Portrait Retouch, Photoshop Perfect Picture, and are priced per image. Want to become a client or learn more about the process to see if it's right for you? Fill out the short form below, and I'll be in touch very soon!